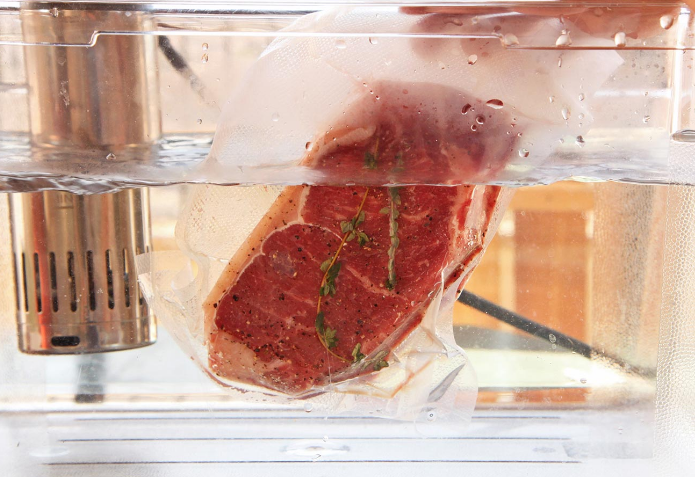 Sous vide is an innovative cooking method that differs from the conventional approach. The term “sous vide” is French and meas “under vacuum”, because part of the process involves vacuum packing the food prior to cooking. However, what counts the most is the precise control of temperature over a period of time other than vacuum. In the process, you wrap the food items in a sealed bag or pouch and then submerge the latter in a water bath. The cooking temperature is set at a specific level (normally about 55 to 60 Celsius degree or 131 to 140 in Fahrenheit) and the cooking period spans from 1 hour to 6 hours or even longer, based on what kind of food stuff to be cooked (meat or vegetables). This method is popular with many chefs, restaurants and home cooks for the sake of retaining the meat’s flavor and texture. A device called sous-vide cooker or immersion circulator is needed. Let’s say you are going to cook a pork chop. Conventionally, you would cook the pork chop in a pan or sears it on a grill. 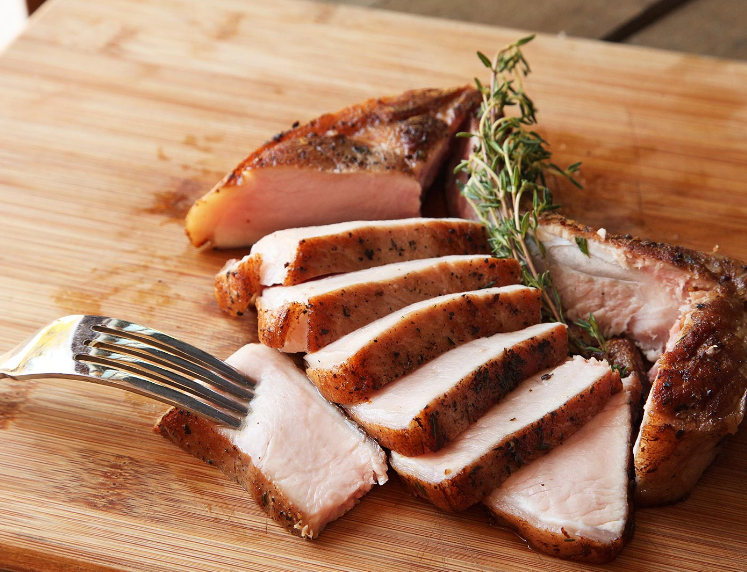 However, the drawback of such cooking method is evident, that is, the pork chop would be easy to get overcooked, making the texture and color undesirable if you remove it too late. Otherwise, it would be under-cooked if removed too early. 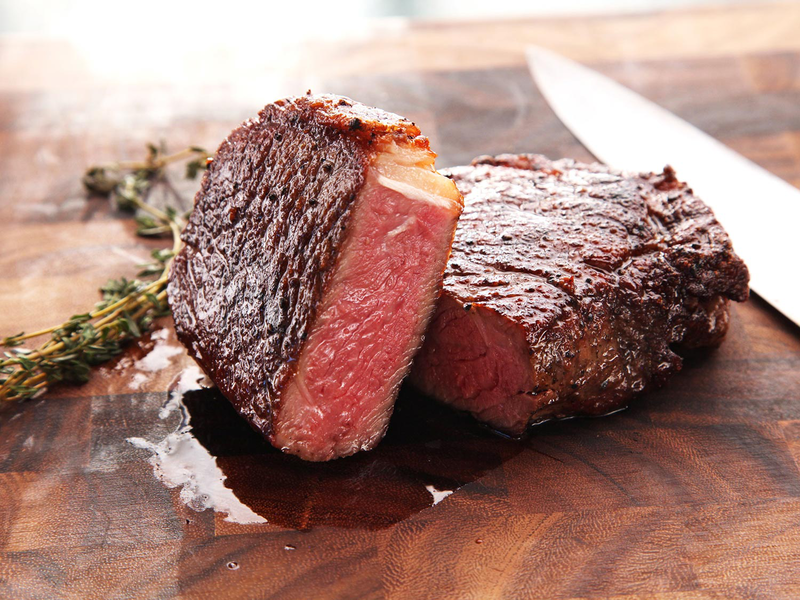 With sous vide, you get the steak done the perfect way and are free from flipping the meat when cooking in a pan. Typically, the food products are circulated by temperature-regulated water and thus evenly cooked, which greatly reduces the likelihood of overcooking the outer layer. This way, the items come out more tender, succulent and therefore, well-tasted. It boils down to main three features for vacuum sealer sous vide cooking approach: low and precisely-controlled temperature, separation of food from direct heating environment with heavy-duty plastic bag or container and under vacuum. Sous Vide used to be adopted by professional chefs and commercial kitchens and sous vide equipment was costly to most people. 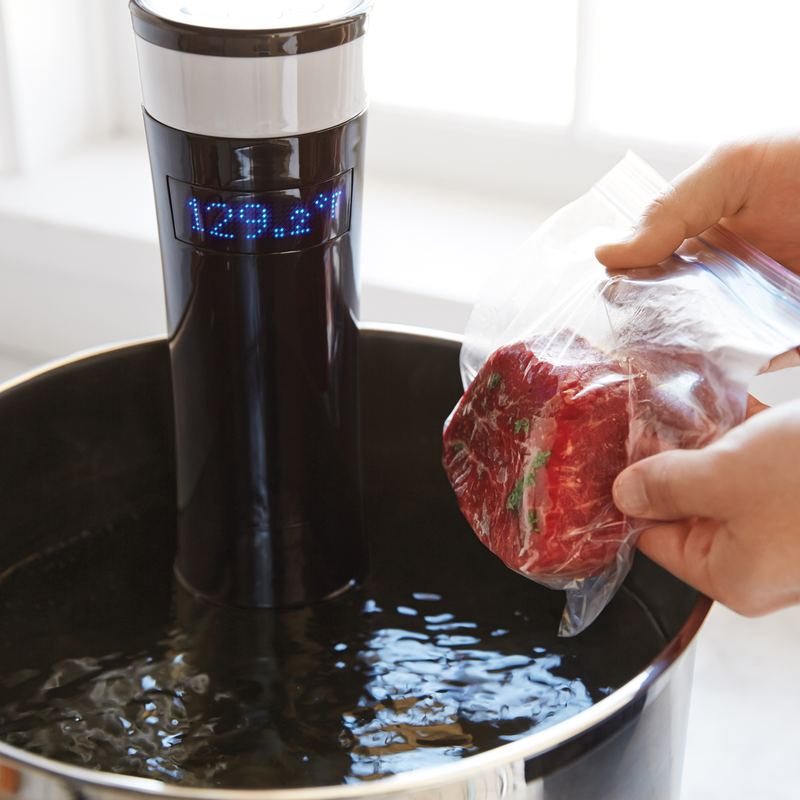 Nowadays, thanks for technological advances, handy sous vide machines and immersion circulators make their way into thousands of millions of people’s home at affordable prices. So, how do you like it? Please give it a try!